After taking a break, editing, revising and rewriting became second nature in the writing process. As an aspiring screenwriter, the writing process became more about clarifying and streamlining my screenplay. Getting outside critique allowed me to see my screenplay with new eyes. The break caused me to refocus my writing efforts when it came to my screenplay. Over the past few days, I drew upon outside critique to keep me in line when it came to the story. 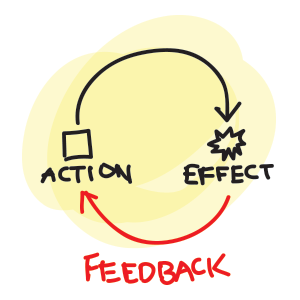 Streamlining my actions became an important part of my rewrite as I tried synthesizing my words for better interpretation. In case of future readings, I wanted the readers or actors have more room for artistic expression. In the notes I received, some scenes needed reworking so the dialogue and characters could flow better through the story. I had to watch out for some repetitiveness with phrasing and wording. I found myself combing through every word trying to make the reading experience easier. It made me have to think out of the box in contrast to my “everything on the page” approach during the first draft. Expanding some scenes and condensing others fell in line with streamlining the script for a better story. In working on the story structure, I found myself working on the dialogue. I felt some of the dialogue was a little stale and needed to be refined. Some dialogue was added. Some were synthesized for a more natural feel. Others were expanded for better character development. I did receive some positive notes about the unique perspective and great character development I displayed. As more feedback begins to come back in, I’ll be able to rework and revise the screenplay even more as I continue on with my winter break. I went on a creative hopping spree this week as I bounced between screenwriting, branding and visual output. I began to focus on some character and graphic design throughout the week. I began thinking about what my project for Black History Month next year. Working on other writing projects has crossed my mind over the past few days. Posting on social media and my website have begun to slow down as I focused on creating actual work. As my winter break goes full swing, I can breathe a little as my thesis class is around the corner. I still have some loose ends to tie up before the quarter starts, but my thesis journey begins to draw to a close. For the first time in a while, I’m not afraid of what’s around the corner.